There are a lot more factors to consider when buying LED lighting than when incandescent bulbs were the prevailing technology. One spec that's gaining an increased focus is the color rending index (CRI), which measures the ability of a light to accurately reproduce colors. Let's take a moment to discuss what high CRI is as it pertains to LED lighting. To understand why a high CRI is important, it's helpful to know what CRI is and, if you're not 100% sure don't worry, you can refer to our previous article on the subject. The CRI value, on a scale of 0 to 100, is used to compare one LED light to another. If one has a CRI of 80, which most LED bulbs currently do, and you see another one has a CRI of 89, then you know that using the latter will show more saturated colors than the former. When an LED light has a CRI of over 90, it's classified as a high CRI LED. If all of this seems new to you it's because you didn't have to think about any of this with incandescent lighting. 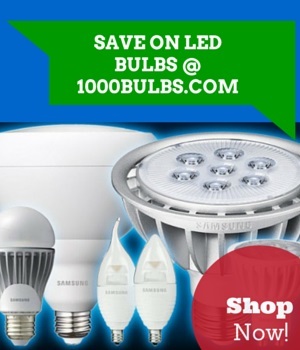 Incandescent bulbs have a CRI of 100 and everything else goes down from there. Most CFL bulbs have a CRI of about 80, and consumer LED lighting hasn't really raised that bar either. This opened the door for manufacturers to come and introduce lighting that focused on color accuracy with a CRI of 90+. This way they could start not only looking more like traditional light bulbs on the outside, but they'd also start performing more like them on the inside. To make sure you're getting a high CRI LED light, check the lighting facts label of the product to see where it falls on the CRI scale. High CRI bulbs are something you may have only found at an art gallery or a top end restaurant previously, but as more options become available and prices start coming down, adoption is beginning to increase. In California, the California Energy Commission has created regulations that will start getting more and more people to choose this kind of lighting. While not every manufacturer has made high CRI LED bulbs available, both Soraa and Cree have already released several LEDs with a high CRI. Soraa has a full line of flood and spot lights ranging from MR16 LED bulbs to AR111, PAR30 and PAR38 options. Cree offers high CRI 40W and 60W equal household LED bulbs. Cnet took a look at a Cree TrueWhite LED bulb with a CRI of 93 (right) and compared it to a regular LED bulb (left). From the picture above you'll notice that there are differences but probably not enough for most people to run out and replace all of their existing LED bulbs for high CRI ones instead. What it does mean is that over time we're taking lighting closer and closer to incandescent lighting while still maintaining the energy efficiency of LED technology. Still have questions about high CRI or CRI in general? Ask us in a comment below or leave use a message on Facebook, Twitter, Google Plus, LinkedIn, or Pinterest!